Warning: This article contains light spoilers for Life is Strange (2015). 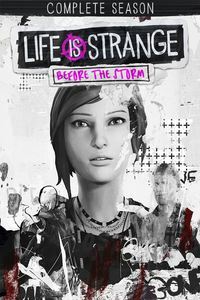 It is recommended to play that game before Life is Strange: Before the Storm. Upon its announcement, I didn’t know how to feel about Life is Strange: Before the Storm. Playing the original Life is Strange was one of the most significant gaming experiences I’ve ever had. Since the release of its first episode, I spent months replaying it endless times and talking about it with friends. I depended on it to get me through a year in which listening to its soundtrack was the only sure way to calm my anxiety. Its impact on me was so profound that it eventually encouraged me to come out to my mom. It’s one of those games that isn’t just a game I played and finished -- it’s an experience that has changed me. Thus, when Deck Nine Games announced the project instead of DONTNOD Entertainment, I immediately thought of all the things that could go wrong with a prequel developed by a different developer. Despite being grateful for the opportunity to return to Arcadia Bay, I was anxious about whether this entry would shape the Life is Strange universe for better or worse. And so far, it seems to be for the better. The first episode of Life is Strange: Before the Storm, titled “Awake”, nails all the things that made the original game stay in the minds and hearts of many. This first episode has its flaws, but they are eclipsed by the things that made the original so great: an amazing soundtrack, relatable and well-written characters, and an authentic focus on female friendships and queer themes. 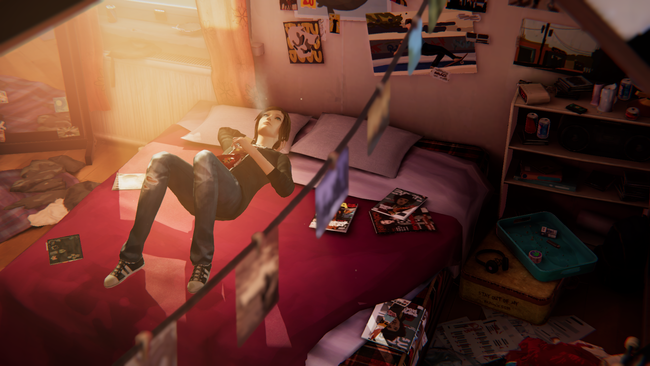 Before the Storm focuses on Chloe Price, who was the best friend, partner, and love interest of the original game’s protagonist, Max Caulfield. 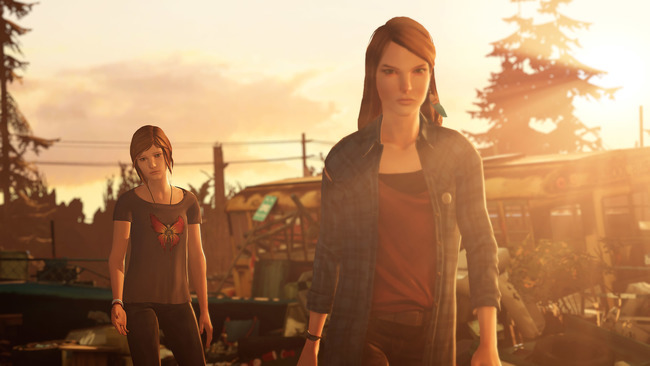 The game is set two years after Chloe lost her father in an accident and was left behind by her best friend who moved away. The loss of two of the most important people in Chloe's life had left behind a girl who masks her pain with rebellion and an attitude that makes her hard to approach. Whether you like her or not, Chloe is a type of realistically flawed female character that’s been sorely needed in gaming. She’s reckless, angry at the world, and a troublemaker, which makes her frustrating at times. But she’s a good person at heart who’s suffered much, and she contains a raw vulnerability that makes her feel human and relatable. She’s dealing with her mother moving on and finding interest in a new man who is the opposite of the cheery and warm man that once came home every day. Instead of expressing her grief, complaining about school, and whispering questions in the dark about her sexuality to her best friend, she writes these things in letters addressed to Max that she never sends. She begins to distance herself from potential friends at school to shield herself from experiencing any further loss. The one exception is Rachel Amber, who is everything Chloe isn’t: a bright and ambitious model student who is loved by everyone who meets her. While Rachel compliments Chloe’s rebellious streak, her own demeanor contains a calmness to it that can only be born from a genuine confidence in herself rather than the bravado that defines Chloe. But like Chloe, she carries her own secrets and dark experiences. In the most unlikely of circumstances, they find each other and change each other’s lives in ways that we are yet to fully witness. Before the Storm is the story of Chloe’s relationship with Rachel Amber – which is already a bumpy but thrilling ride. If you’ve played the original Life is Strange, you know that Rachel might not have been the greatest friend (or possible girlfriend) to Chloe and that their relationship seems like it had as many lows as it had highs. While I’m not as fond of my partner this time around, Rachel remains intriguing even in the moments when her relationship with Chloe turns stormy and she becomes difficult to warm up to. By the end of the episode, cracks are formed in the flawless image that the series has set up for her, but she still seems a bit too perfect. That’s likely to change in the coming episodes, though, for the ending is dramatic (almost overly so) and bound to leave you with even more questions about her than when you had before you met her. While the at times awkward teen dialogue is back in Before the Storm, the writing of its characters retains the richness of the first game. Meeting the new and interesting characters is as exciting as seeing familiar faces. All the familiar faces in this game, including Chloe herself, are voiced by actors different from those of the original game. While the different voices are jarring at first, the acting – especially of Rhianna Devries, Chloe’s new voice actress – is overall quite good and with few missteps. You’ll be able to interact with the people of Arcadia Bay in various ways, one of which is through the game’s main mechanic: Backtalk, which allows Chloe to use her aggressive and witty personality to get herself out of trouble. If you fail to say the right things, you’ll have to face the consequences to your actions because there are no supernatural powers to save you this time around. Backtalk is fun, especially in moments when you have to say the right thing several times but it’ll only take you one slip to lose the argument. However, while Max’s Rewind power played a significant role in the story, I wish Backtalk could’ve been implemented in more of the episode’s intense moments rather than in what feels like interactions with little impact. In the next episodes, I’d like to see it expanded beyond just “Chloe acts like a smartass to get herself out of trouble.” For instance, using the feature in the episode’s most tense scene – a conversation with Rachel that involves screaming and bottle-throwing in a junkyard – and seeing how succeeding or failing impacts your dynamic with Rachel would’ve been incredibly effective. You’ll visit places both familiar and new in Arcadia Bay, evoking a feeling of a fresh yet nostalgic experience. Every scene in these various settings is presented in the unique and colorful art style that has distinguished the series. They're not perfect by any means, but the environments, in particular, are visual treats due to the manipulation of depth of field and lighting. Additionally, the soundtrack for the game is simply wonderful. 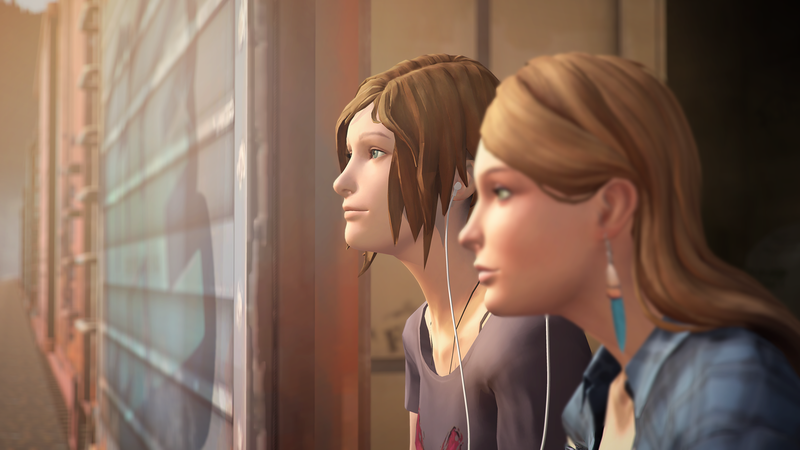 It contains tranquil tracks that feel so reminiscent of the first game’s most memorable songs, as well as upbeat and aggressive songs with lyrics that fit Chloe and her narrative. The soundtrack almost embodies this first episode of Before the Storm: it establishes its own individual identity in many ways through the change in protagonist yet manages to feel familiar to the Life is Strange fans know and love. Although Life is Strange: Before the Storm will contain just three episodes, this first episode is a satisfying three-hour ride that has left me filled with anticipation for the next episode. Despite my caution regarding a different developer, my hesitations about a game without Max, and my worries about the game overall, I am so happy about the opportunity to continue exploring Arcadia Bay and its mysteries. It’s flawed but contains so many of the things that made me laugh, cry, and fall in love with Life is Strange. Episode One is not only reassuring; it feels like coming back home.